Viewing a property is an exciting time but it’s important to know what to look out for when searching for your next dream home. Rental property rating and review site Asktenants.co.uk has compiled a list of the top ten tips for people to make most out of their viewing. From checking for mould, searching for mouse droppings and even listening out for any noise, there’s a number of things to consider to ensure you dodge a renting disaster later on. Knowing what to look out for couldn’t be more important. A recent English Housing Survey revealed that 35% of properties in the private rented sector are rated ‘non-decent’ – hiding a variety of major health and safety hazards. Further research also discovered that 60% of renters have found a problem in their accommodation in the past 12 months, with issues including damp, mould, leaking roofs or windows and even animal infestations. 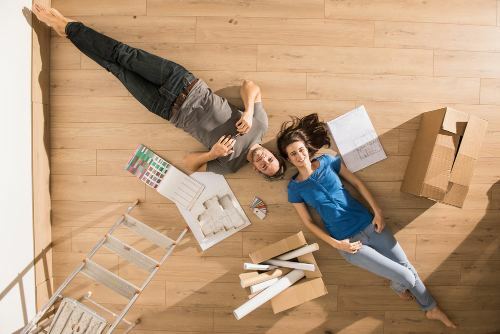 This is why Asktenants.co.uk have put together a checklist for all new renters to follow when viewing a property to help them avoid any potential disasters. Asktenants.co.uk lets renters rate their accommodation and responsiveness of their landlord, giving it an overall score. It has thousands of properties rated by tenants across the UK. It also allows users to research information about a property before they view or move in – including the social and ethnic profile of the surrounding area and local schools catchment areas, performance reports and parents opinions. The site links up with police data to give crime statistics for every road in the UK. Make sure to check around windows as this is the most common area for dampness. Look out for either small black spots or surfaces which appear to have been patched up. Also check behind furniture and around bathroom and kitchen extractors. Spot any dehumidifiers in the rooms which is the sign of potential condensation. Look for any signs of rodents or insect problems, including mice traps, repellents and spray bottles. Black spots on mattresses can be a sign of bedbugs, if you notice small balding patches in the corners and at the edges of your carpets, the chances are that you have an infestation of carpet moths. Many tenants will view properties during the weekend, meaning they do not get a realistic idea of the traffic and parking situation. Check out what it would be like at the times you would realistically need to park. Don’t be scared off by professional-looking estate agents – don’t be scared to speak to the current occupiers and find out why they are moving on. Ask questions such as if they found any problems with the property, or why they are leaving. If you spot any works being carried out at the property during your viewing, always ask what is being changed. It’s important to know that the sun rises in the east, swings south throughout the day, and sets in the west. A south-facing home gets sun for most of the day, especially at the front of the house and is therefore usually brighter and warmer. A north-facing home gets sun at the back of the house and is typically darker and naturally cooler. It is also recommended to view the property during the day when it is bright outside as you will pick up on more things with natural light. Always research the surrounding area to discover the crime levels and school reports. Asktenants.co.uk can also be used to find out demographic information, such as the general social and cultural backgrounds of the people in the area. Make sure the boiler has annual maintenance and a breakdown cover so that you’re not left with a potential breakdown further down the line. Check when was the last electric safety check done. Most landlords should get this done periodically (normally once in 5 years). Watch out for burned fuses, damaged leads, burn marks on plugs and leads, smell of burned plastic. Founder of Asktenants.co.uk, Payal Bhavnani, said: “It’s essential that budding renters go into a property viewing as well-prepared as they can be. “It’s always a fun and exciting time being on the lookout for your next home but it’s important not to let emotion get the better of you and make the wrong decision. You may think you have found your dream home but there could be lots of hidden problems and issues you didn’t think to look out for.